"Trials are about persuasion, whether trying a case to the judge or a jury. What makes persuasion more effective? In my case, after over ten years of trial work as an Assistant United States Attorney I'm able to translate complex material into simpler and more understandable arguments. And when that skill is combined with my knack for connecting with people, it leads to superior results." 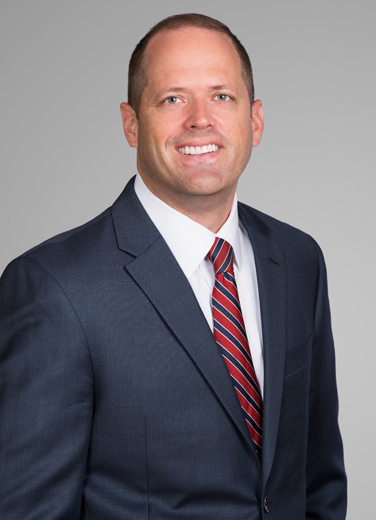 Sean Toomey is an experienced trial lawyer who represents clients in high-stakes civil and criminal proceedings, as well as internal and government investigations. Sean draws on his experience of over a decade in the Department of Justice as an Assistant United States Attorney in the Eastern District of Louisiana, where he focused on trying cases, arguing motions, and appearing before the Fifth Circuit Court of Appeals in high-profile cases. Sean also handles commercial litigation, building on his earlier years of civil practice at two international law firms in New York, NY, focused on securities, regulatory, and general commercial disputes involving a broad spectrum of legal practice, including fraud, breach of contract, breach of fiduciary duty, reinsurance, health care, as well as federal securities law. “Obstruction of Justice: Nexus Requirement Unclear in New Statutes,” co-author, 230 N.Y.L.J. 7 (2003). “A Survey of Recent Statutory Developments in Securities Law Prosecution,” co-author, ABA-CLE White Collar Crime (2003). “Application of Delaware’s ‘Raincoat’ Provision,” co-author, 227 N.Y.L.J. 5 (2002). “O’Regan v. Preferred Enterprises, Inc.: Are Occupational Diseases That are Contracted Within the First Twelve Months of Employment Presumptively Torts?,” 75 Tul. L. Rev. 241 (2000). “When I’m not at work, you’ll find me watching football and my young kids, usually at the same time, and when possible, getting out into the marshes and rice fields of this sportsman’s paradise I'm so lucky to live in."